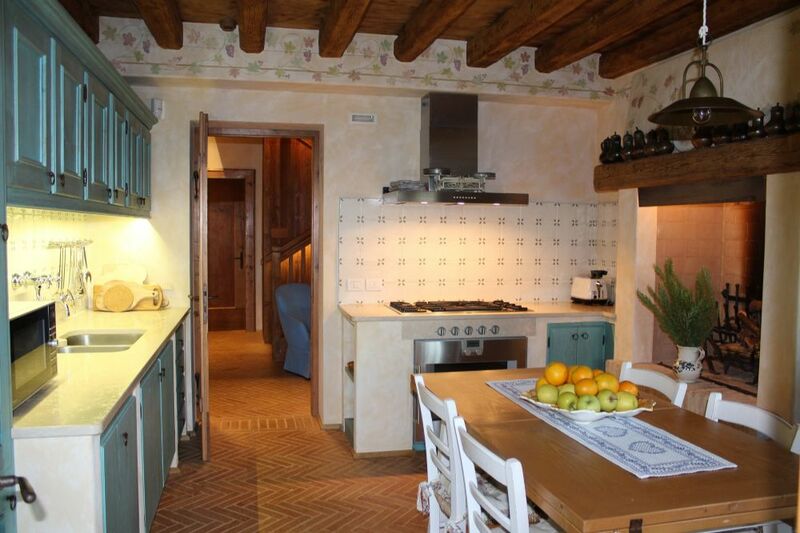 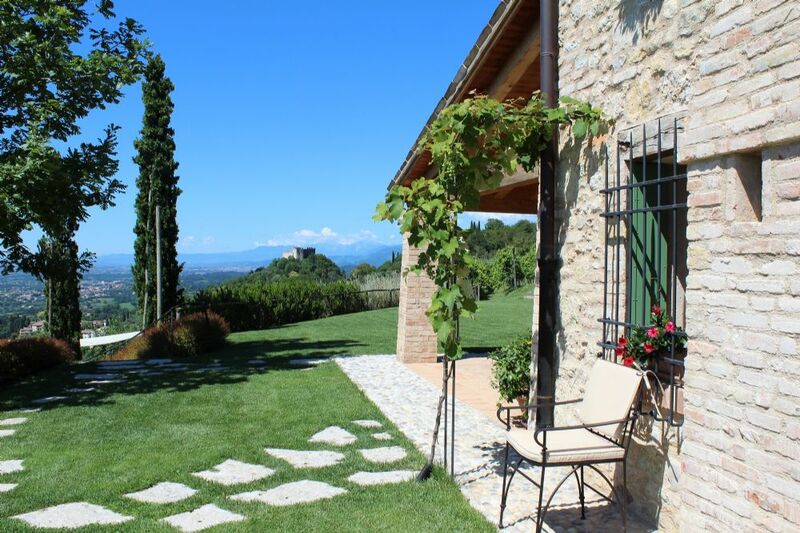 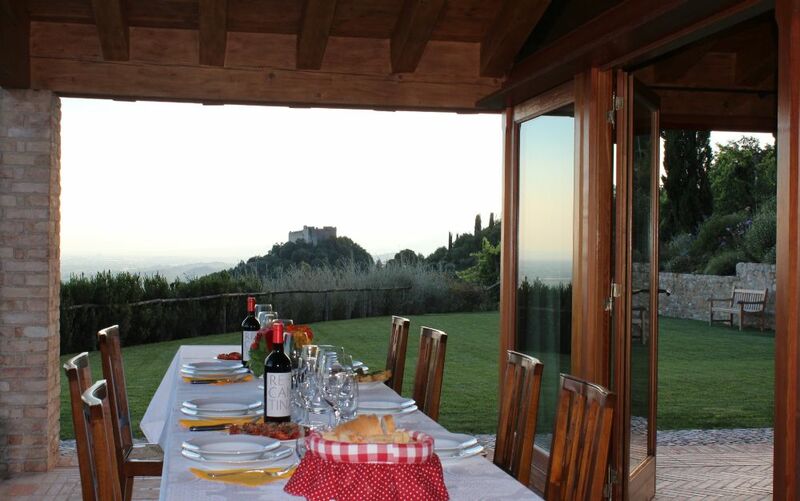 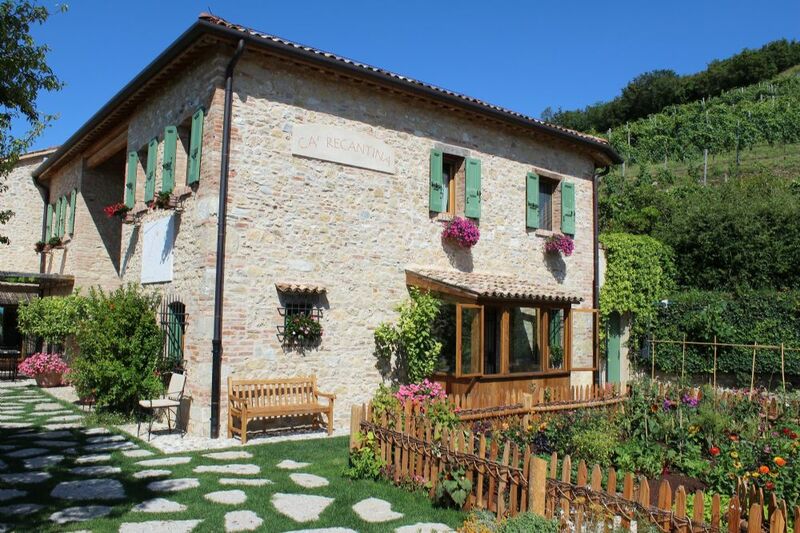 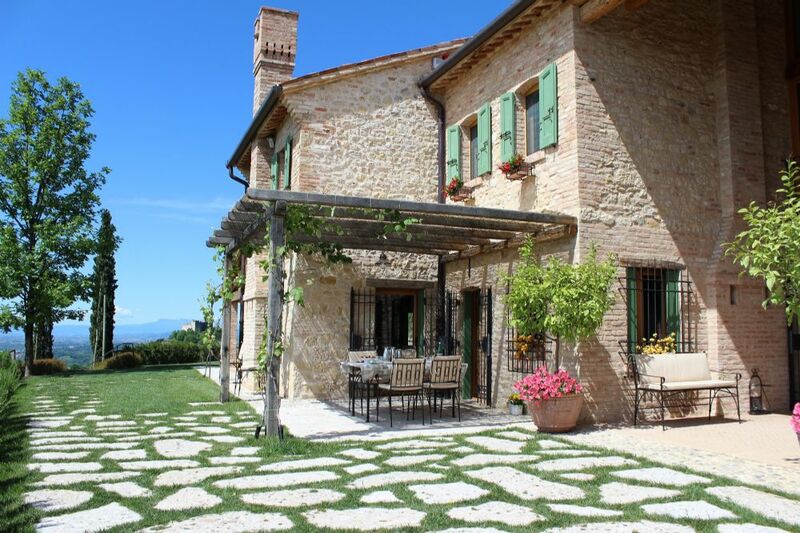 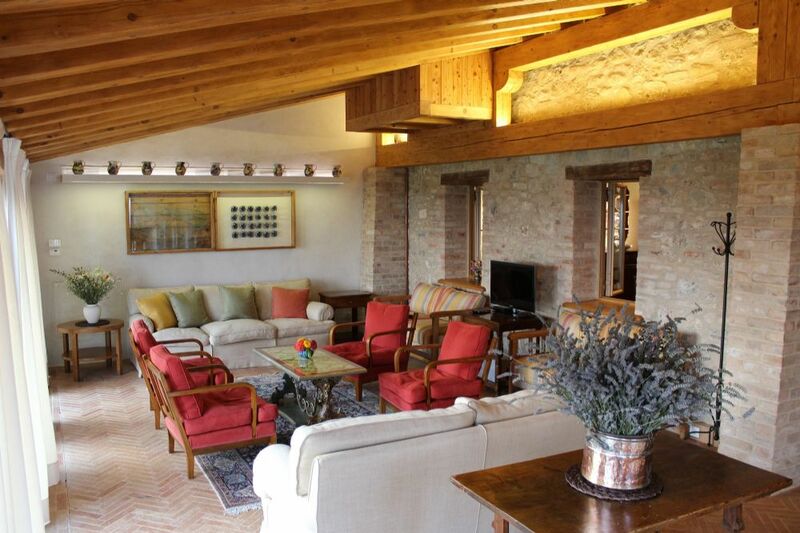 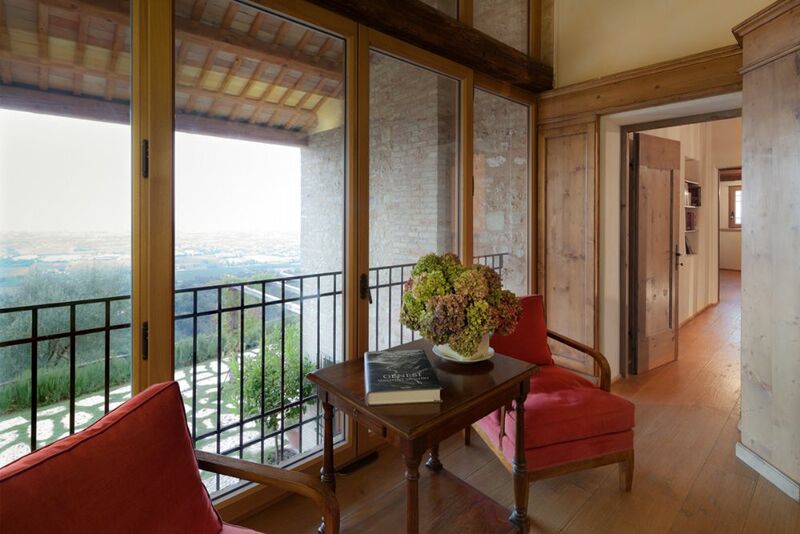 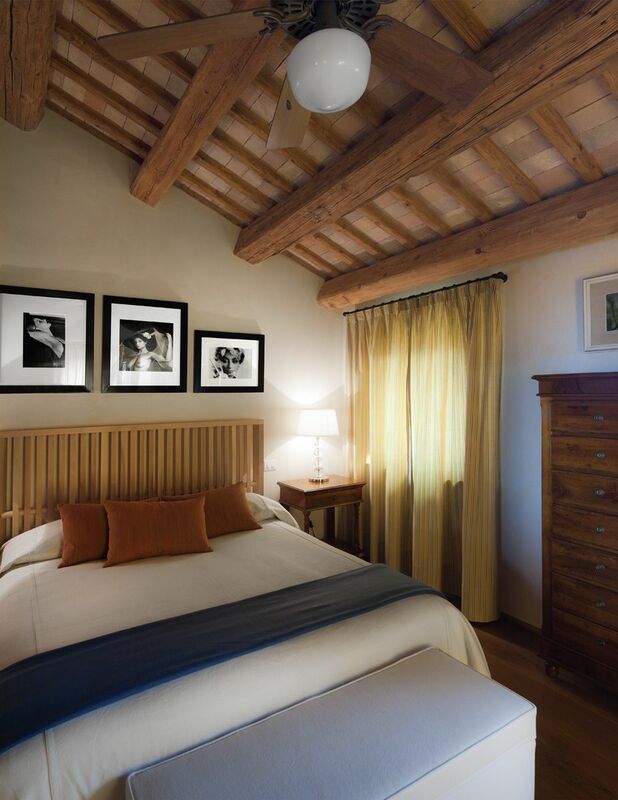 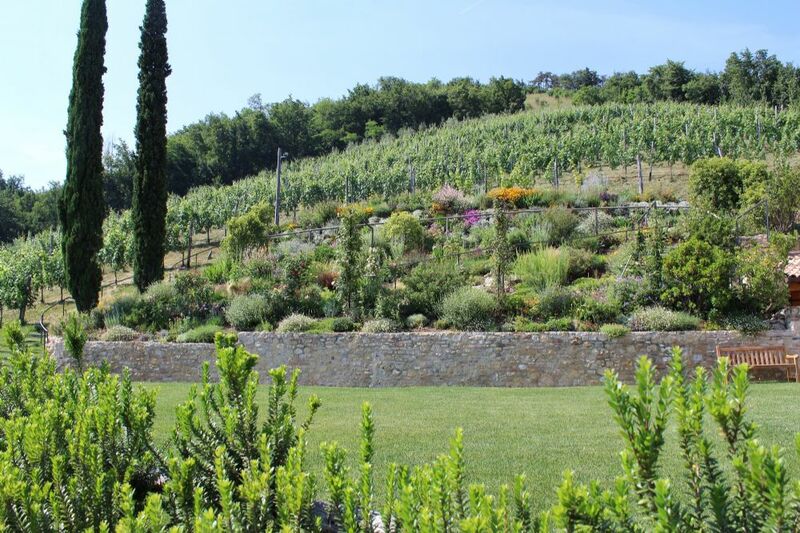 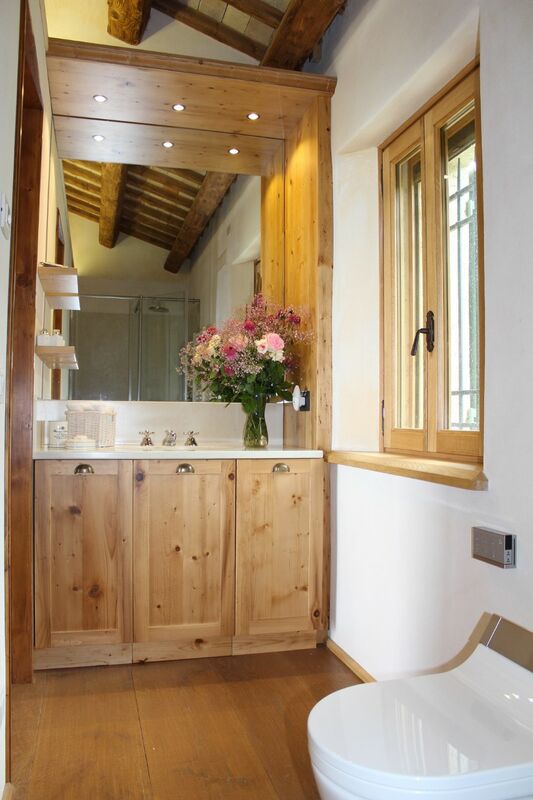 A recently restored country house situated on a wine and oil producing estate just few minutes from the centre of Asolo. 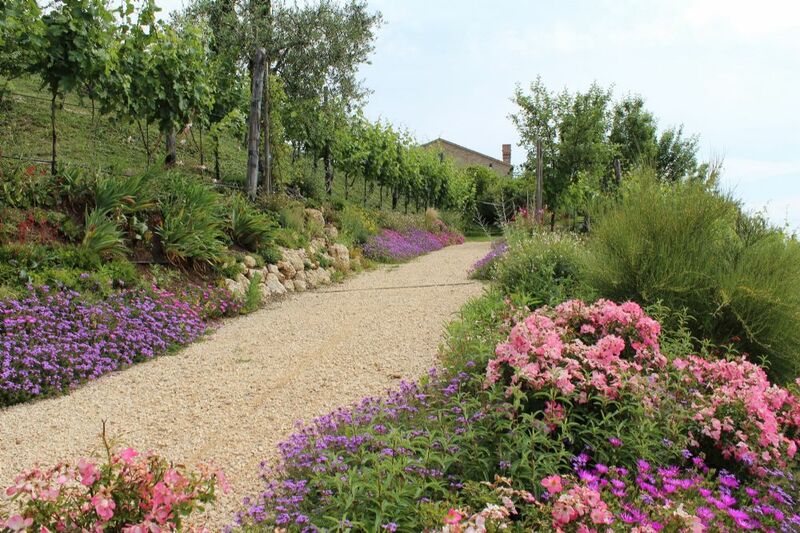 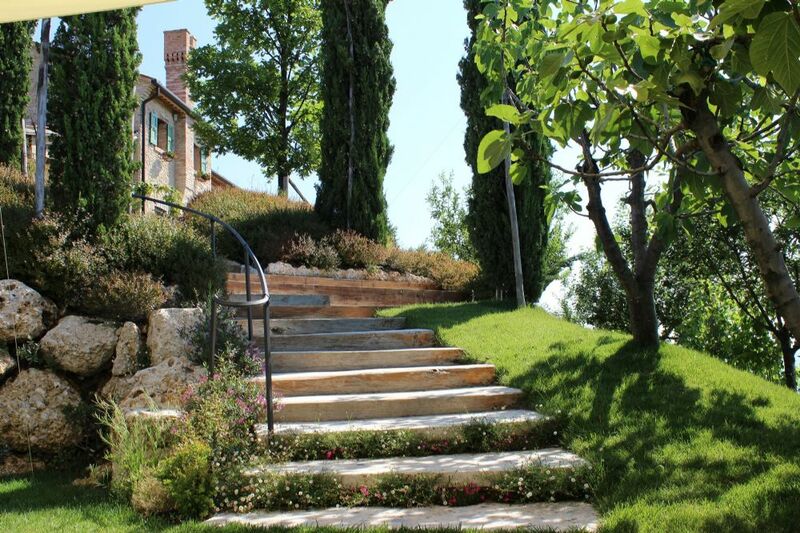 This wonderful property is set upon the crest of a hill and surrounded by grapevines, olive groves & fruit trees. 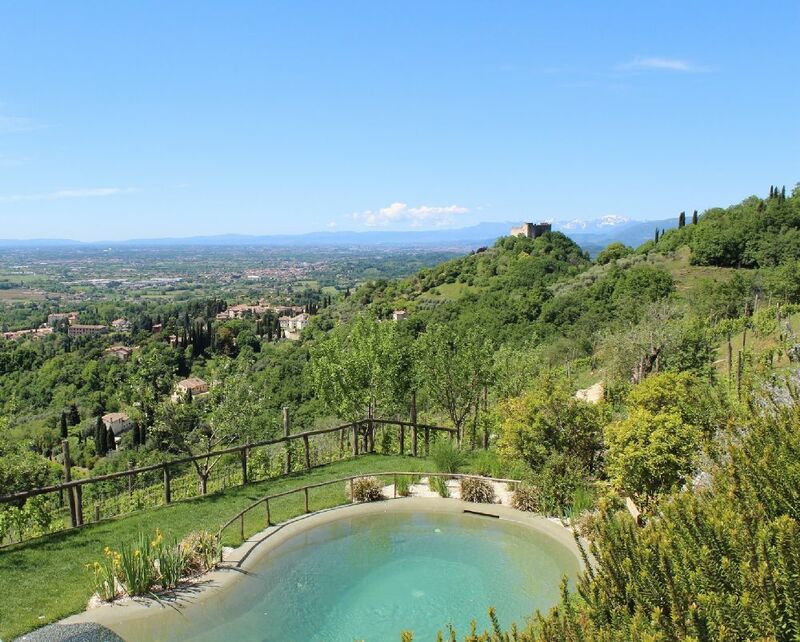 Stunning views of the surrounding countryside. 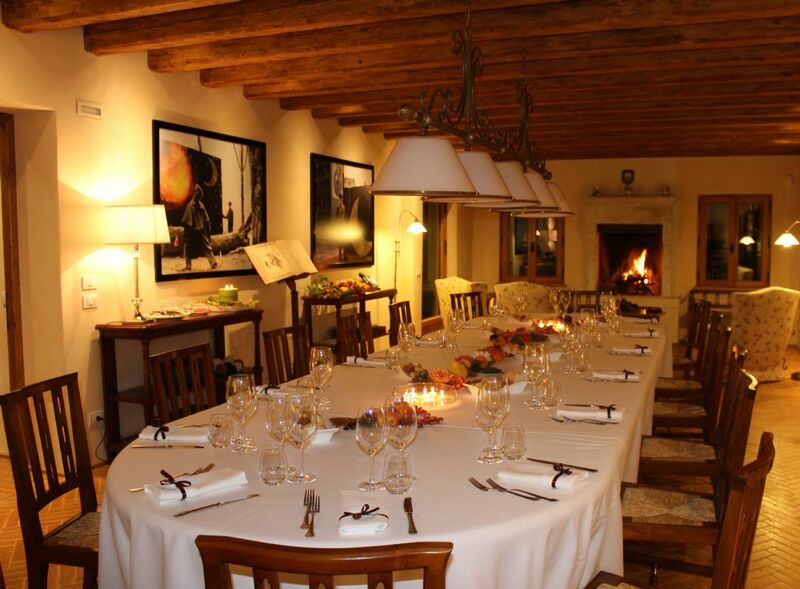 Guests can taste the wine and extra-virgin olive oil produced locally. 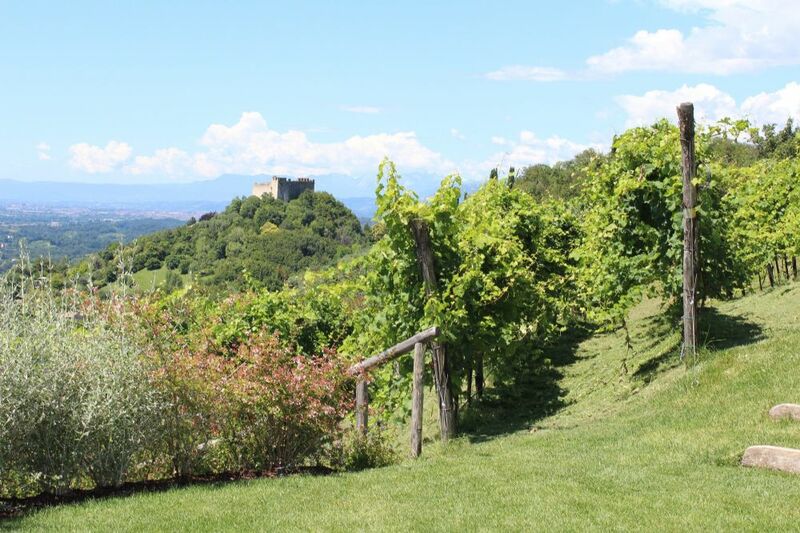 Pleasant walks along through the grapevines or wooded track which leads directly to the historical centre of Asolo. 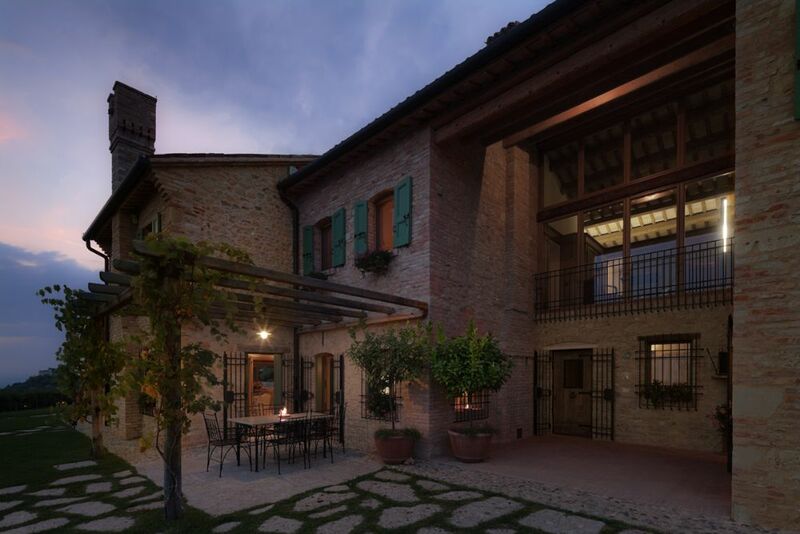 The ground floor features a large living room and veranda facing the landscape of the Castle of Asolo, a large dining room with a corner for conversation arranged around a typical Venetian fireplace, and a completely equipped kitchen that opens onto a portico facing south. 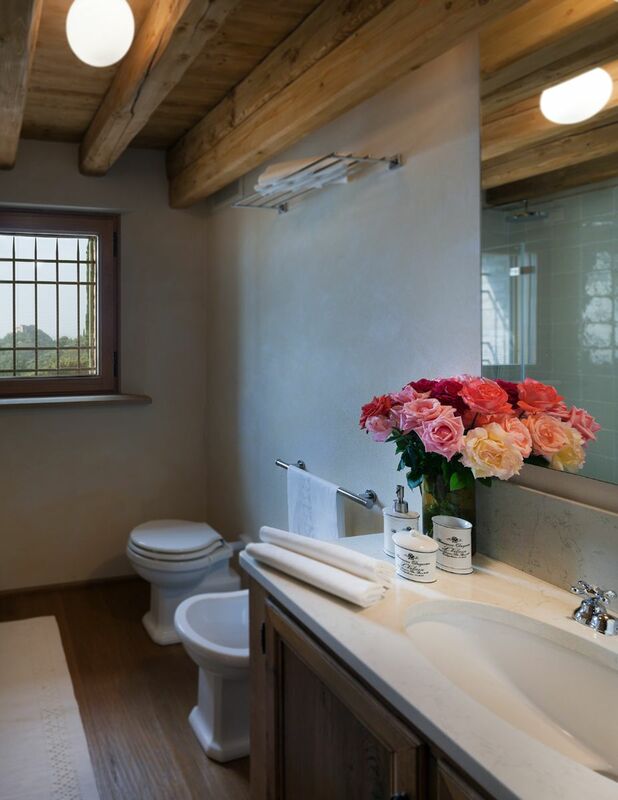 A bathroom with a shower, a laundry room with a washer and dryer, and a closet complete the floor plan. 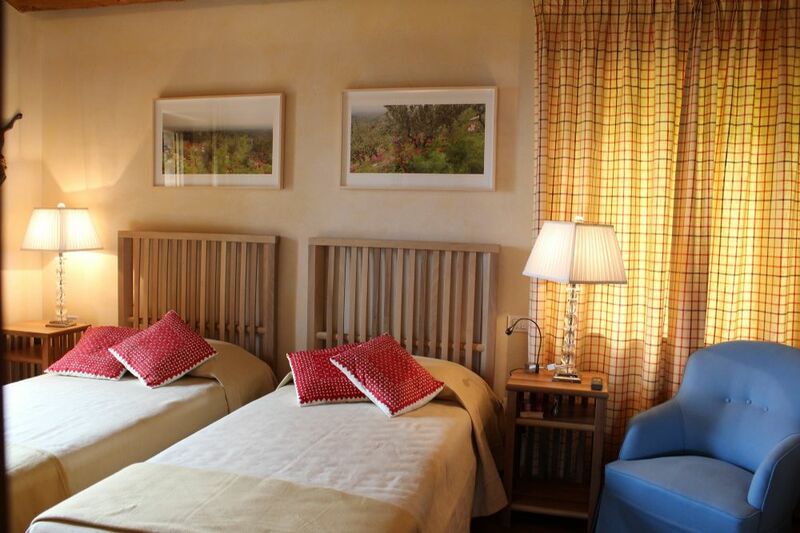 The upper floor has four bedrooms, three with queen-size beds and one with two twin-size beds, each of them with a bathroom en-suite. 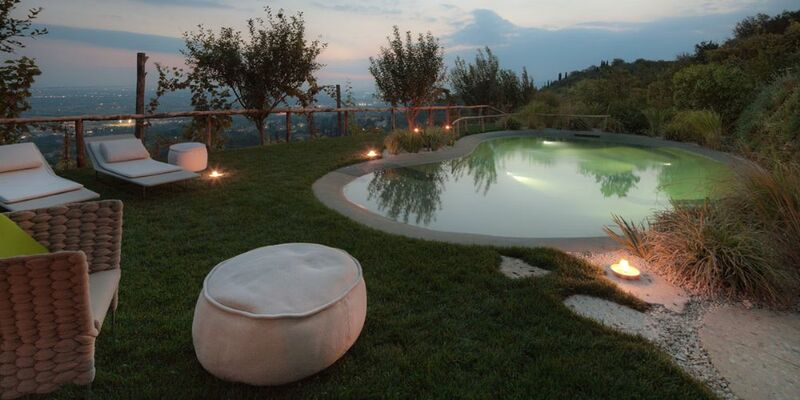 The pool is aprox 5 x 9 mt with an irregular shape. 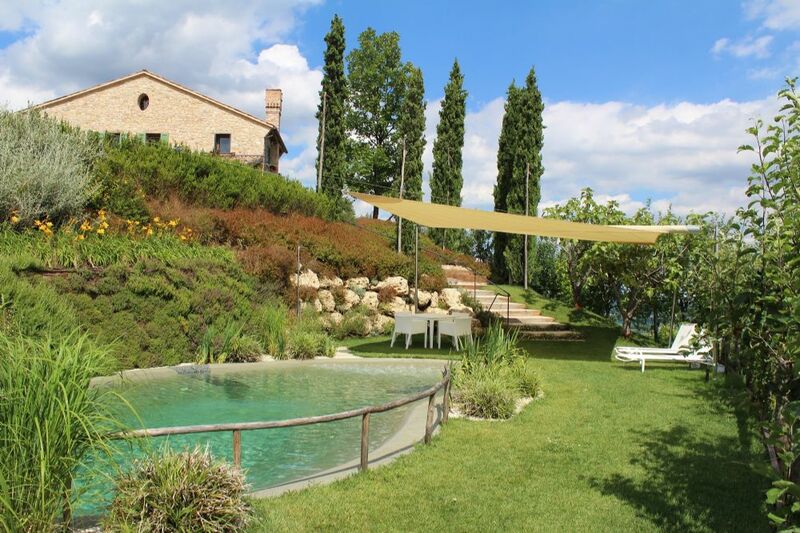 In the initial part of the pool, waters are shallow and there’s the possibility of relaxing with the bubbles jets, then the water goes down for a depth of 1,60 mt. 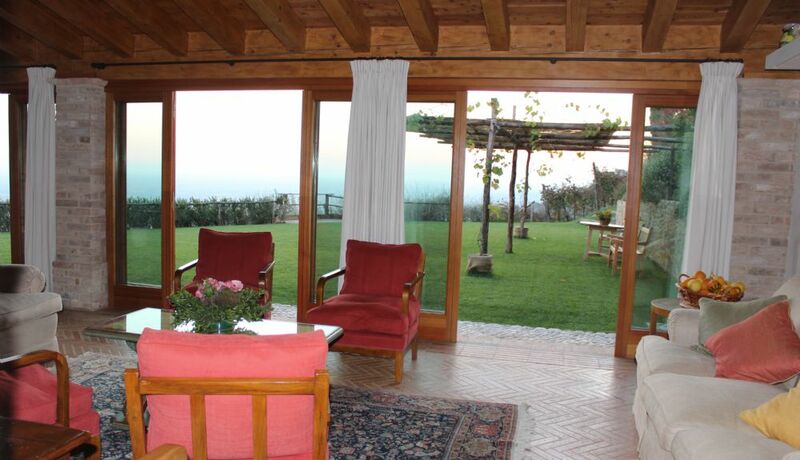 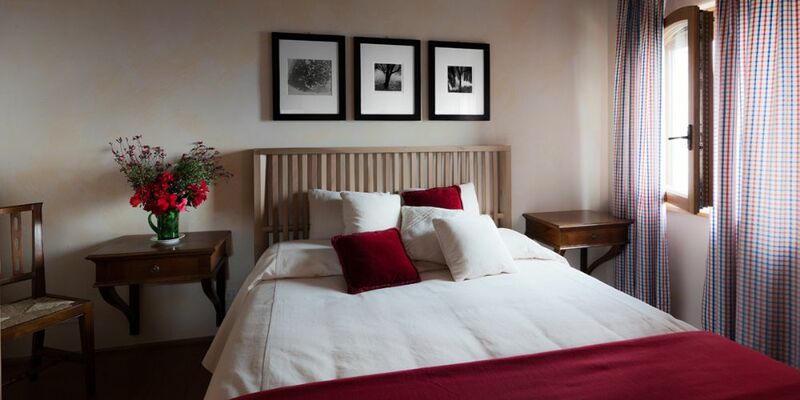 The rental prices include all extras (gas, water, electricity, bed linen, hand, bath, pool towels and final cleaning).